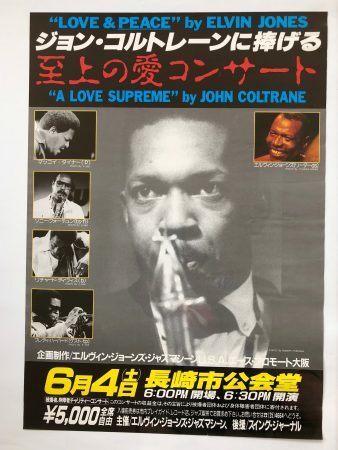 This is an original promotional poster, personally collected by Elvin while touring his “Love and Peace” tribute to John Coltrane in Japan. Excellent condition. Acquired directly from Elvin’s estate. Includes COA signed by Keiko Jones. Unframed. More photos available.